Infralogix enables companies to cost-effectively maintain the availability, condition and optimal performance of their equipment and assets. Infralogix began with infrared thermographic reliability engineering services; identifying faults in electrical and mechanical systems, breaches in roofing and building envelopes, and conducting other condition-based assessments for improved reliability. 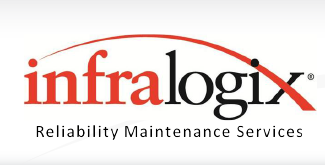 Since that time, Infralogix has evolved into a full-scale maintenance engineering and reliability firm, offering a broad spectrum of services to a diverse market. Our professional staff is committed to providing exceptional service, adhering to high quality standards and delivering value to our customers.